This mobile unit acts as an art island where four or more can work. Lots of storage between the easels and on shelves. 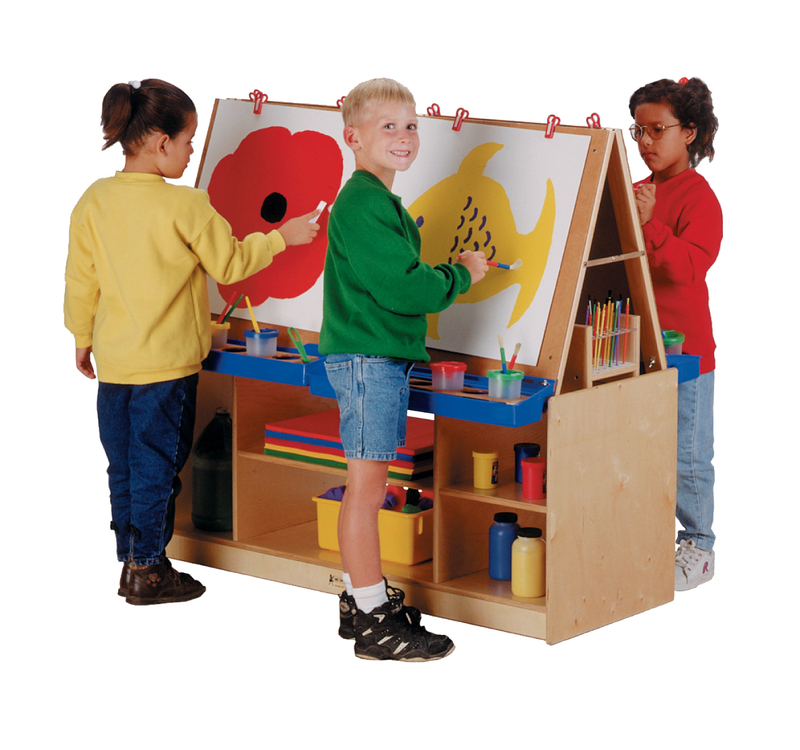 Removable tabletop easels mount securely to base. 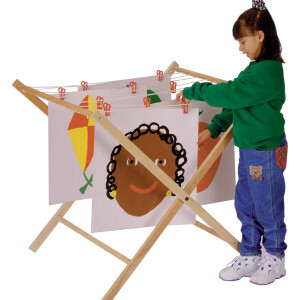 Comes standard with hardboard easels. 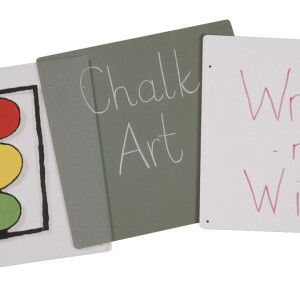 Optional Acrylic, Chalkboard and Write-n-Wipe panels available. Clips and paint tray included. 49½” wide x 20″ deep x 45″ high. KYDZSafe® edges. KYDZStrong® construction. KYDZTuff® finish. MAXBracket®. Clips and paint tray included. 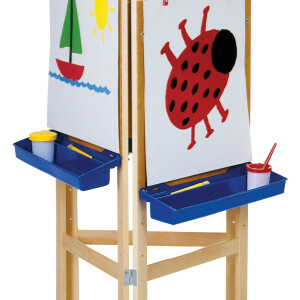 Easel panel options available. 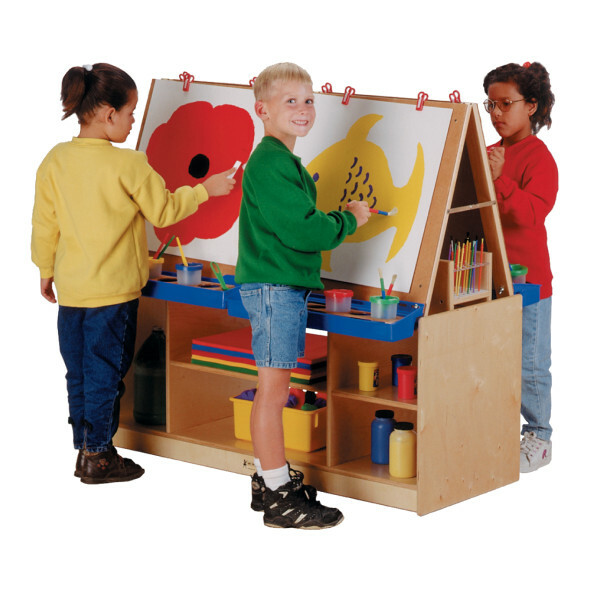 Hardboard easel panels are standard.